In case of a fire in your North Hills, Morrisville or Cary office, call SERVPRO of North Raleigh & Wake Forest to assist. After an incident of fire damage in Wake Forest, there is a need to limit the level of secondary damages that occur. Various aspects of the incident continue causing damages long after the flames are doused out. Residues such as soot are corrosive and can, therefore, cause irreversible damages to metallic tools used daily. Standing water and other forms of moisture can also cause problems such as mold development, rust or rot. Our SERVPRO technicians work fast to safeguard against these damages. We extract standing water and wipe down items that can be affected by soot preventing further damages. A fire is a combination of several aspects, so it leaves different levels of damages especially in contents within the dental office. It is possible to save some items, while others have to be thrown away. Our SERVPRO technicians have a systemic way of separating items based on levels of damage. We separate items into salvageable, questionable and unsalvageable items. Such separation speeds up restoration and helps save more items. 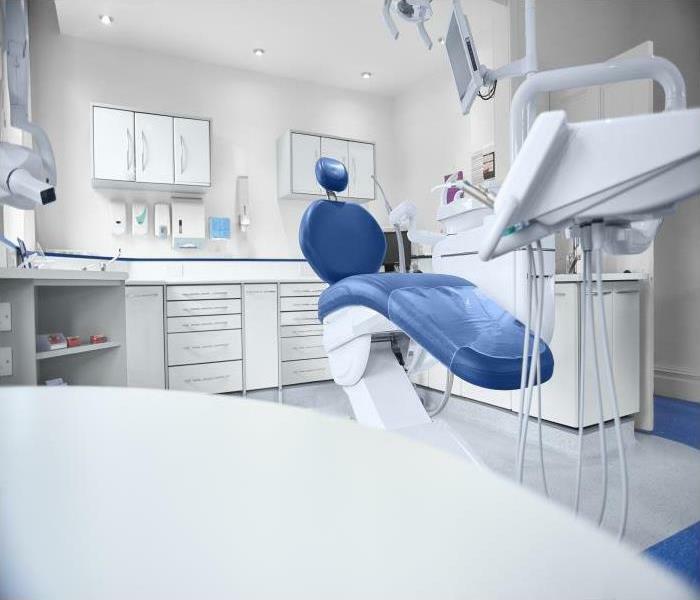 People like to enjoy a fresh, relaxing environment when they visit their dentist. Odors caused by smoke and debris from a fire can ruin that environment. Our SERVPRO Fire and Smoke Restoration Technicians take every step necessary to deodorize the office. We use specialized equipment such as vacuums and upholstery cleaners to remove all debris from items and surfaces. We also have deodorizing equipment such as Ozone generators, which oxidize odor particles neutralizing them. In case of a fire in your North Hills, Morrisville or Cary office, call SERVPRO of North Raleigh & Wake Forest to assist. You can reach us at (919) 790-1222 any time. We’re Faster to Any Size Disaster. Click here for more about Wake Forest. Our SERVPRO team will work quickly to recover your business from fire damage. 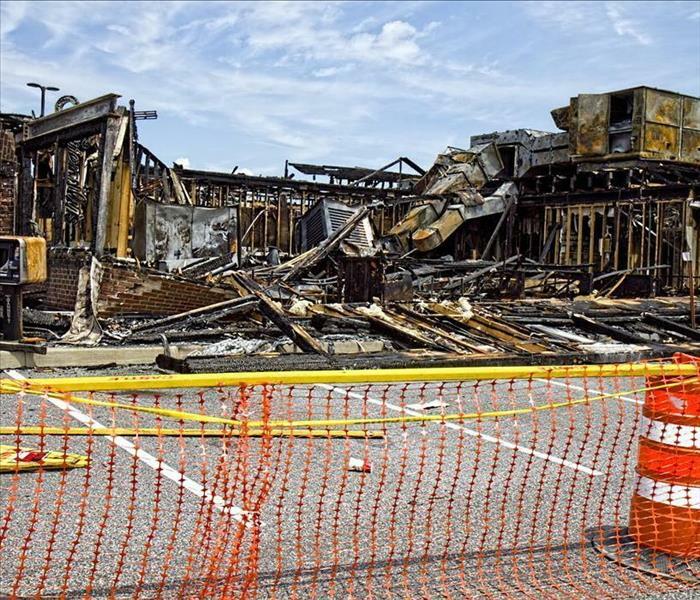 Restoring a business after fire damage is often a multi-layered approach. Fire brings flames, smoke, soot, and heat. 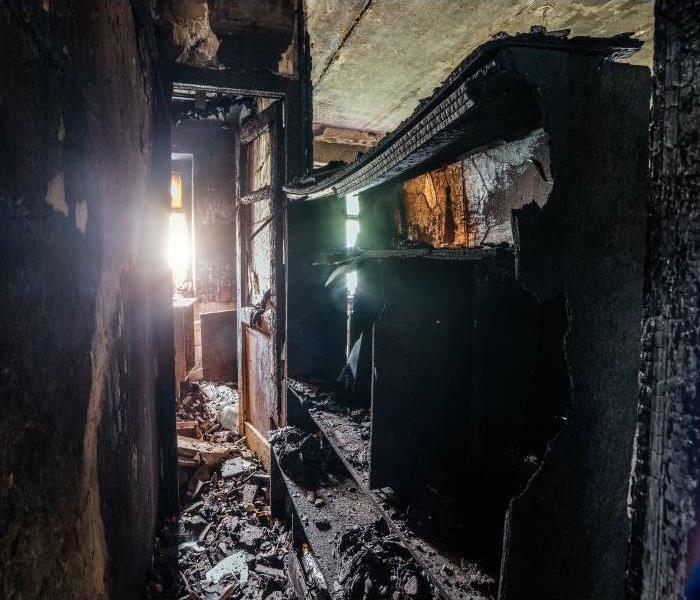 After the blaze, there is often water damage requiring restorative efforts from both the fire fighting efforts and fire suppression systems such as overhead sprinklers triggered by the fire. It is vital to extract any standing water as quickly as possible as the first step of commercial fire damage in a North Hills business. If the water cleanup occurs within the first 24 hours, it is handled as a clean water cleanup. Saturated mats are removed for drying, and if any part of the affected area has carpeting, it is not automatically a loss if it is soaked with water or smells like smoke. Our technicians have multiple applications to dry carpeting in place and neutralize odors from a fire. After removing standing water and wet items to dry in another area, desks and chairs can often dry in place raised on blocks when we set up air movers to direct air up and out carrying moisture with it. Once dry, SERVPRO IICRC-certified technicians use both wet and dry sponges as needed for the type of residue as they clean and disinfect surfaces and items affected by both water and the fire. Our goal is to restore to mitigate as much loss as possible for your business. Employees do not want to smell the after effects of fire, and neither do your customers. SERVPRO's Odor Control Technicians are specialists in neutralizing even deeply seated odors from a fire using tools such as HEPA air scrubbers or thermal fogging to eradicate foul scents from furnishings and anywhere the smoke touched within the business. At SERVPRO of North Raleigh & Wake Forest, our goal is to remediate commercial fire damage quickly so you can reopen with as little loss of revenue and productivity. Call (919) 790-1222 - our team of technicians is available 24/7 to go to work for you immediately. For more on North Hills, click here. Prevention is better than cure,’ so goes the old English adage. Water damage to your Raleigh homes and real estate property is a hazardous eventuality. As such, it is in your best interest to employ all tactics to see to it that it does not happen at all. You can only be sure of this if you are acquainted with all the possible strategies and best practices for prevention. We at SERVPRO are familiar with these preventive strategies. This arises out of our experience with the mitigation of water damage in Raleigh. Our skilled and IICRC-certified technicians have compiled a list of these strategies and would be glad to share them with you. By far the most outstanding tool in this arsenal is the proactive approach. This entails putting in place timely interventions beforehand rather than waiting for the problem to arise first before responding to it. SERVPRO’s technicians recommend that you carry out regular inspections of your premises and properties. This way, you can be able to identify potential hotspots and develop a counteractive response. Doing this shall also earn you the benefit of spending less on restoration services and forestalling worse damages to your property. 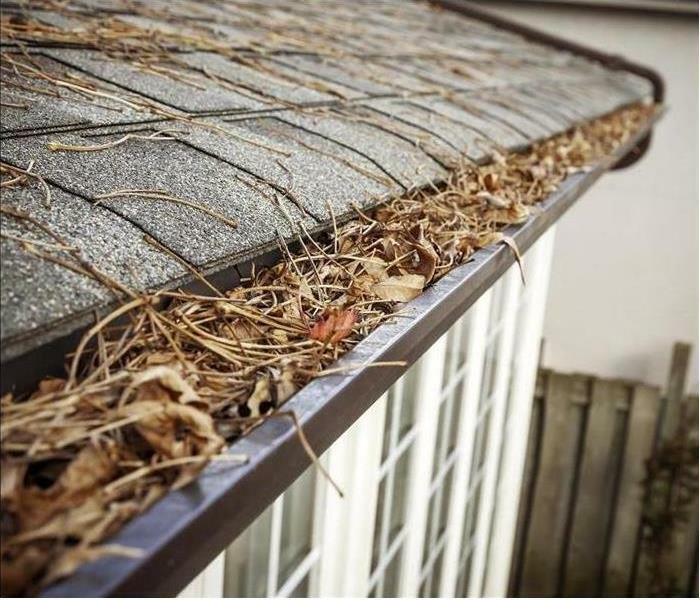 Unclogging your drains and gutters regularly suggested by SERVPRO ensures a smooth flow of water and eliminates most chances of water intrusion because of poor rainwater channeling from away the structure. This also goes a long way in reducing the likelihood of your property suffering damages from mold infestations and foul odors. Nothing lasts an eternity. The plumbing parts and components of your premises are by no means exceptional. Consider a timely and regular replacement of the worn out parts and components of your property’s plumbing system. This way, you can ward off the possibilities of water damage caused by the malfunctions of these parts. If your home or business is in need of water removal and restoration, rely on a professional local franchise SERVPRO of North Raleigh & Wake Forest for positive results. Call us 24/7 at (919) 790-1222. Cleaning up a Raleigh home after a fire is directed at the big items. First efforts are to examine the structural property and determine what is needed to restore floors, ceilings, and walls. That is where much of the restoration cost comes from, but it is not everything. To completely remediate the effects of fire damage in Raleigh homes; a professional restoration company looks at every item in the home. SERVPRO understands that the items most important to a homeowner are rarely ever walls and ceilings. It is the personal touches like light fixtures and in rooms like the kitchen or living area made by the owners. Kitchen cabinets are among the first personal choices made by a homeowner. The exteriors are usually covered with a clear varnish to emphasize the appearance of the wood, so we remove the handles and back plates to examine the entire surface and then use a mild cleaning agent to remove smoke and soot residues. Interiors are usually unfinished or exposed wood. Our first action is to wipe them down with a dry sponge. That normally removes the residue, but for thicker layers, we wipe down each panel and shelf with a wet sponge dipped in denatured alcohol. If the soot has penetrated the surface, we use sandpaper to remove it. Accents in the living room help define a homeowner’s style. We use special detergents and washing machines to clean curtains and drapes, but we also take care of the drapery rods and valances as well. SERVPRO IICRC certified technicians remove them from the walls and wipe down every piece of hardware. Then, they spray silicon on them to protect from future damage. We thoroughly clean the walls before rehanging them. Light fixtures in both rooms and throughout the house are not just personal, but can also be very expensive to replace. To clean them completely, we remove them from walls and ceilings and use as mild a cleaning agent as possible to prevent staining any metal finishes or etching glass covers. Restoring a home means more than just cleaning the carpets and wiping smoke damage from the walls and ceilings. SERVPRO of North Raleigh & Wake Forest understands that our customers want to return to their home, and not just a house. If you need our help, call (919) 790-1222 today. Click here to visit this beautiful city. When A Fire Occurs In Your Raleigh Home, You Need To Call A Professional Restoration Company Like SERVPRO! SERVPRO of North Raleigh & Wake Forest is here to help you when you need us. Regardless of where you live, your home or business can be affected by fire damage. 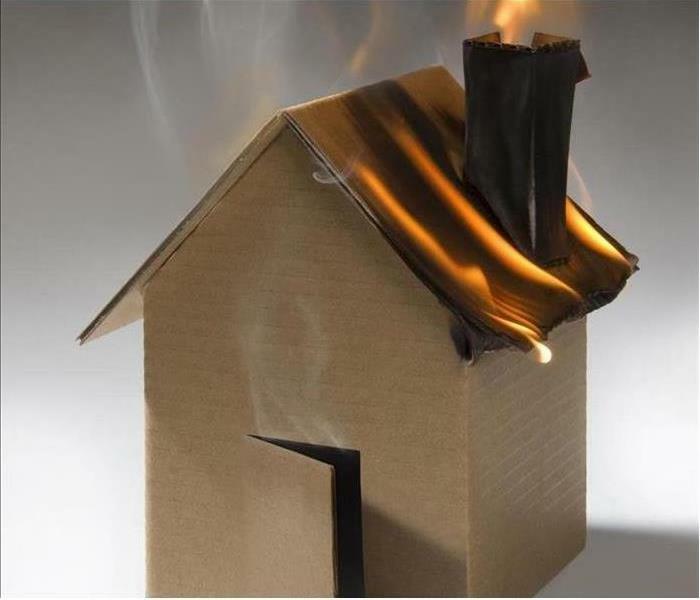 If the fire reaches or starts in your home, it may be the result of faulty wiring or small kitchen fire. The same is also true for business establishments that fall victim to open flames. If you are cautious, sprinklers and firefighters act promptly to curtail the effect of the fire and mitigate losses. However, soot and smoke residue can be just as big of a challenge as the actual flames. To help remediate fire damage to your Raleigh home or business our SERVPRO crew is at the ready to assist. Our 24-hour response team is just a phone call away and suitably equipped to handle fires big and small. Our specialized SERVPRO team arrives on-site and examines the progress of the smoke to determine the extent of the damage. As the evaluation advances, our technicians identify the different types of surfaces that need to be cleaned and the methods to be used. The nature of each material and the path of the fire help determine our course of action. Ideally, we work to salvage all of your belongings including any paper products. Some surfaces can be wiped clean without further dousing with chemicals, while others require specialized solutions to return to their original condition. Depending on the seriousness of the fire and the time lapse between its being extinguished and our team arriving, our SERVPRO team may recommend disposing of some of the contents of your home. When items need are removed we carefully comply with regulations dictating their proper disposal. SERVPRO of North Raleigh & Wake Forest is here to help you when you need us. Call us at (919) 790-1222 and allow us to put our expertise to work for you. Click here for more about Raleigh. Our team has the right equipment to handle flood damage in your business within a timely manner. We are available 24/7 day and night to help you. A backed up sewer point in your place of work can force temporary closure while the issue is assessed and remediated. In a customer facing business, this can easily lead to a loss of revenue and usually occur during the busier times of the year. A timely restoration depends on using the right kind of service — one with experience and locally based technicians who can deal with BioHazard materials. The idea of commercial flood damage in Raleigh usually creates notions of extreme weather conditions, heavy rainfall or other natural events. Most often the problem can be traced back to older plumbing systems that have steadily deteriorated over time. SERVPRO technicians live and work in this area so they can recognize the unique problems faced by our business community. As a start, we operate a 24-hour emergency call line. Our business communities know that they can reach us anytime, day or night. Following a quick assessment over the phone, SERVPRO can send a rapid response unit to your property immediately. Expertly trained technicians can find the source of damage quicker and put in place preventative measures to limit recurring problems. When dealing with raw sewage, the priority is to wear the right equipment. Black Water can be harmful and is often loaded with pathogens. SERVPRO technicians are given the correct clothing which allows them to remedy the situation quickly. The priority is to find the source of the problem and shut it off at the source. Once we are confident that the source is dealt with, we can begin to remove the damages. Using submersible pumps alongside industrial-grade extractors waste is removed efficiently. After that, we can apply proprietary cleaning solutions and sanitizers to the affected zone. Where there is drywall, we can demolish it, clean behind it and then replace it with new drywall. Our last step is to thoroughly deodorize the affected area to make the damage "Like it never even happened." If your business suffers unforeseen flood damages, contact SERVPRO of North Raleigh & Wake Forest at (919) 790-1222. Lifeguards needed click here for more information. SERVPRO of North Raleigh & Wake Forest is a full-service flood damage restoration company. 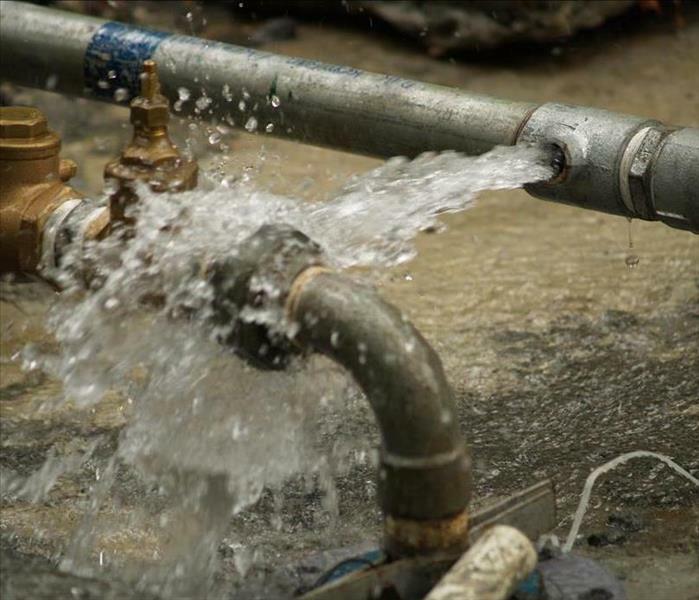 Whatever the reason -- natural disaster, mistake, or malfunction -- when large quantities of water pour into your Raleigh home you need a plan that allows for robust structural water removal and drying strategies while also protecting your household goods and possessions. Our professional disaster recovery team members master training in a wide range of strategies ensuring both the physical structure and your mementos, documents, clothing, furniture, and other personal effects receive the attention they need. It might feel unnerving to watch the majority of your possessions leave the premises after a flood damages your Raleigh home. Your sense of loss increases as the boxes move out of sight, but the pack-out makes a lot of sense on several levels. We don't make such a recommendation lightly but hope to achieve a balance between rapid water removal and drying within your house and the specialized cleaning and drying of furnishings off-site. SERVPRO offers the security of our Contents Claim Inventory Service (CCIS) during a pack-out. CCIS creates a detailed and accurate list of the belongings we remove. A room-by-room inventory is developed using digital photos, and often barcoding. If needed, you can access items during the restoration process. We keep your insurance company in the loop, providing documentation of the various methods used to dry out items and the results of our efforts. With most of your stored possessions safely packed out SERVPRO water removal technicians can focus on removing water via pumps and extractors. Items in place during flood water removal would need to be continuously repositioned and risk dye or rusting transfer to carpeting or other flooring. The moisture trapped in possessions also extends the amount of time needed to complete structural drying. SERVPRO production facility technicians use appropriate techniques to remove moisture from the broad array of materials represented in your pack-out articles. Vacuum freeze or thermal drying concentrated drying chambers, and industrial dryers, among other approaches, return items to function and appearance. Electronics are saved from ruin, safe to use after restoration and final inspection by qualified electronics technicians. SERVPRO of North Raleigh & Wake Forest is a full-service flood damage restoration company. Take advantage of our training and advanced technology by calling (919) 790-1222 for an assessment. Natural disasters like hurricanes and flooding have taken their toll on homes throughout the past several years, and many homeowners have experienced the benefits of professional restoration firsthand. For those that did not seek out professional restoration from the onset of flooding and storm damages to their homes, contaminated water saturated through construction materials and structural elements to provide a damp environment hospitable to mold colonization. Flooding can be an easy path for mold damage in your Wake Forest home, as it has become widely accepted that the intruding water could have become contaminated by multiple hazardous substances reaching your property. With microorganisms and bacteria in the floodwater, the saturation through structural elements provides an inviting scenario for mold spores. These microscopic spores land on saturated materials, seat into them, and begin to grow and spread throughout the home. 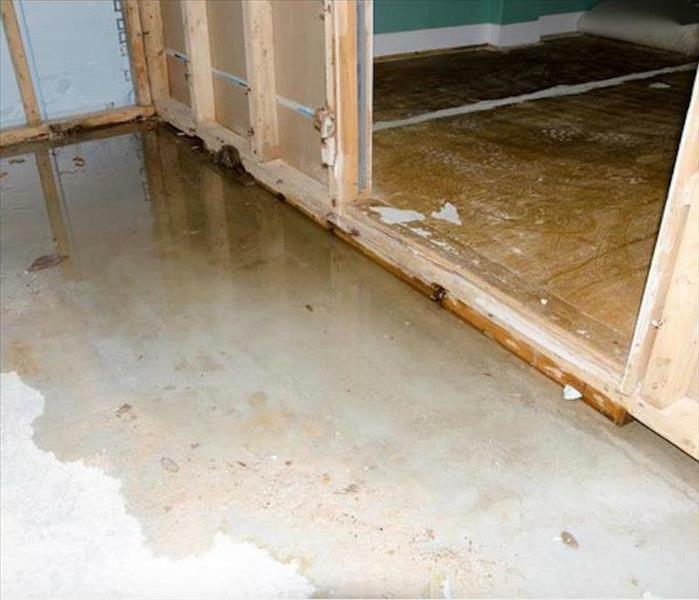 Proper flood restoration from our SERVPRO professionals cannot guarantee that mold colonization does not occur alongside flood damages, because tear out and drying of the property can often take several days or more to complete. If mold colonization does occur while our professionals work on your home, we can set up the necessary containment and address the potential threat immediately to prevent extensive damage and possible health effects. 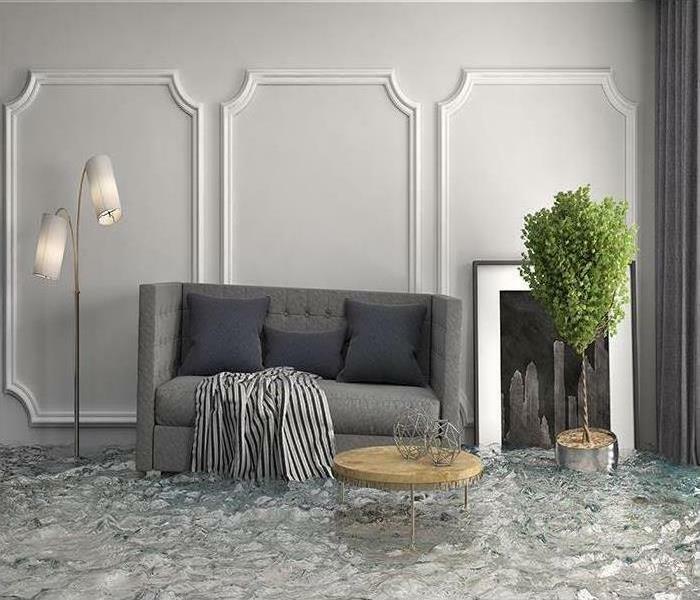 For those choosing to care for water damage in their homes on their own, the possibility of mold growth is greater still, as homeowners lack the advanced equipment required to reach all of the moisture pockets that flooding can leave behind. Our SERVPRO team can utilize our high-powered drying equipment like air movers and dehumidifiers to begin drying out structural elements to get saved, as well as an antimicrobial spray that can get applied to unaffected materials and areas to make them uninhabitable to mold spores. While our region has seen its fair share of flooding and other natural disasters, preventing mold growth and its array of damages can be as simple as choosing our SERVPRO of North Raleigh & Wake Forest team. We can arrive quickly with the tools and expertise to help. Give us a call at (919) 790-1222. WFU touches the world, click here. Water Loss in Your Raleigh Home? Why Not call SERVPRO for Professional Cleanup and Drying? Water loss can happen at any time since water plays a significant role in day-to-day life. The steps you take after noticing the loss play a significant role in determining the outcome of the incident. Among the steps that should be prioritized is cleanup. Cleaning up the affected area helps remove standing water and any soiling or debris from the incident. We are IICRC certified, so we offer highly skilled teams and use state-of-the-art equipment to restore your Raleigh home. An exercise of water cleanup in Raleigh should address both current and future problems. In most cases, the current problem is making the affected areas habitable again. Extracting any standing water and drying contents should help make the area habitable. Our SERVPRO technicians use advanced equipment such as dry-wet vacs and truck-mounted water extractors to remove water fast from all affected areas. The water extractors have pumping and vacuum capabilities, which allows collection of standing water and extraction from soggy materials such as carpets. Extraction removes most of the water. However, a significant percentage remains as moisture, which is more stubborn to deal with especially when involving materials like wood. This moisture is also likely to cause long-term problems if not adequately addressed. Our SERVPRO technicians tap into their Applied Structural Drying skills to overcome challenges in the drying phase. In addition to using advanced drying equipment such as air movers and dehumidifiers, we also use unique approaches. For example, when drying hardwood floors, we can seal the damp area with a plastic sheet to control the drying process further preventing issues like the splitting of floorboards. 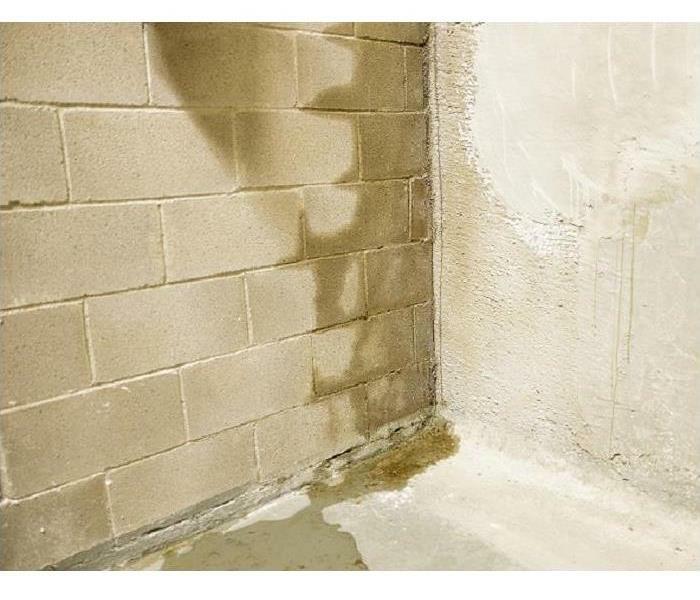 Water loss incidents can also cause bad odors because of microbial growth or from wastes pushed into concealed spaces. Our SERVPRO technicians rely on their training to identify problem areas where mold can grow, or wastes pushed and remain hidden for long. We clean and deodorize such areas eliminating any odors. In case of a water loss incident, call SERVPRO of North Raleigh & Wake Forest at (919) 790-1222. We're Faster To Any Size Disaster. More information and data on your local community right here. 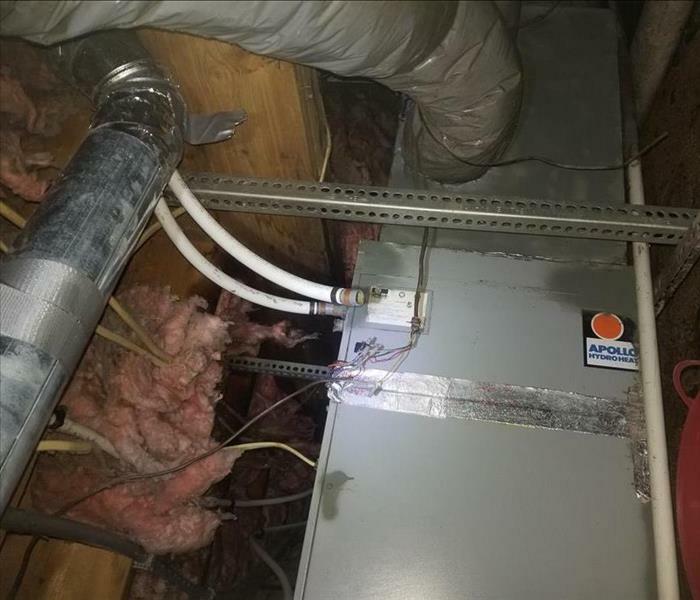 3/13/2019 - When A Fire Occurs In Your Raleigh Home, You Need To Call A Professional Restoration Company Like SERVPRO!